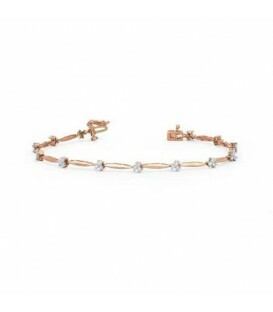 A stylish 1.50 Carat Round Diamond Tennis Bracelet with the Diamonds beautifully set in square mill grained 18 Karat Rose Gold links. 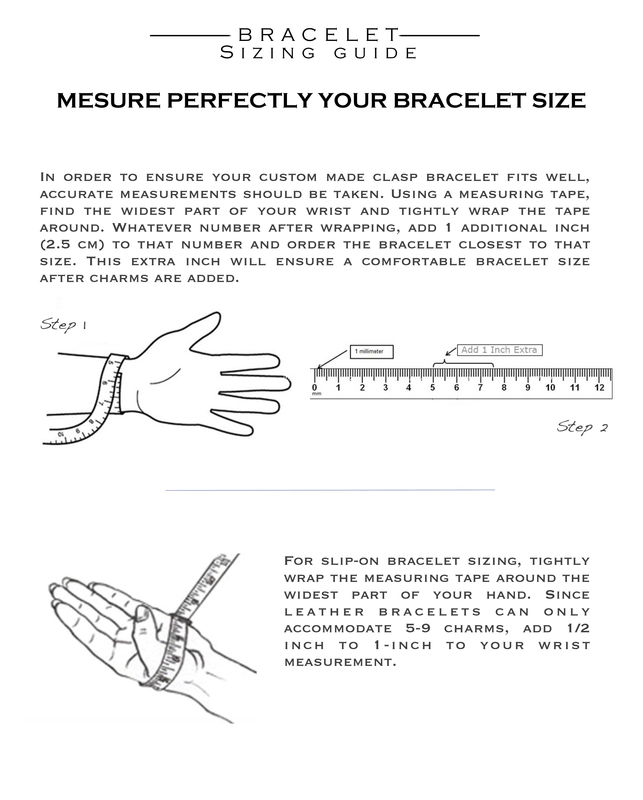 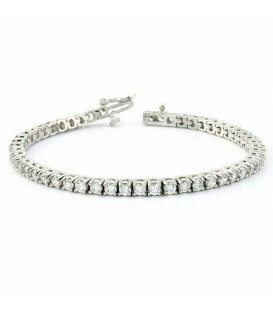 Seven inches in length and a slide with safety clasp for added security. 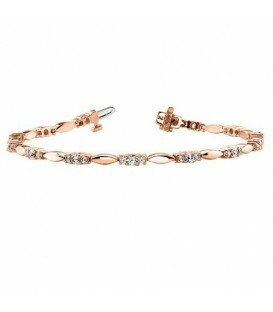 Half circles Rose Gold and Diamond 7 inch Tennis Bracelet. 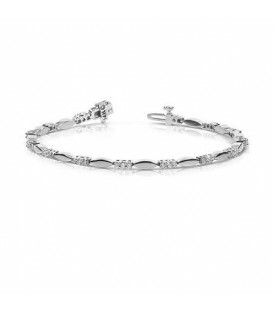 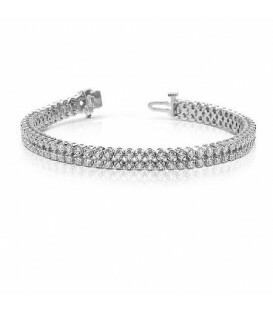 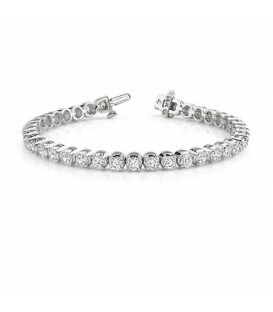 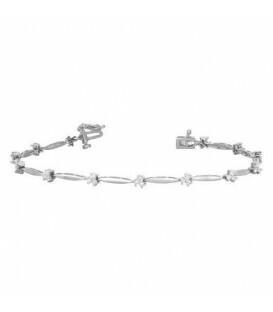 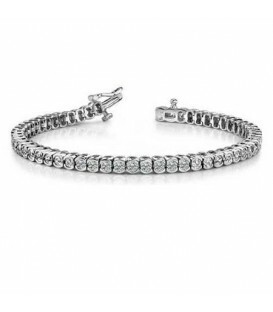 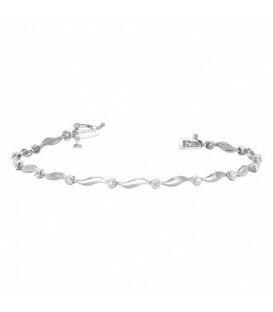 Round brilliant genuine Diamonds H-I SI-I1 are claw set in square mill grained links with a total Diamond weight of 1.50 Carats in a 7 inch bracelet with double safety clasp. 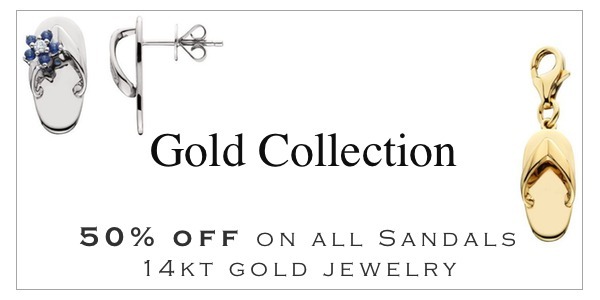 Choose from 1.50 Carats to 4 Carats total weight in your choice of 5 inch to 9 inch lengths. 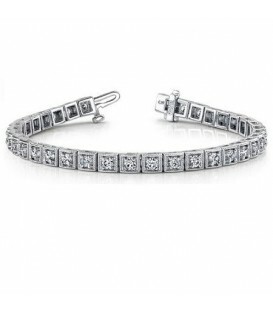 Customize your size and explore the Tennis Bracelet Designer for more options and quotes. 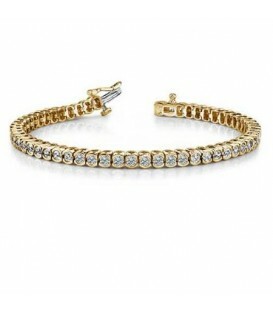 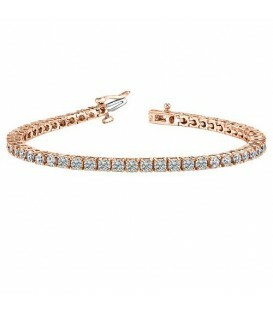 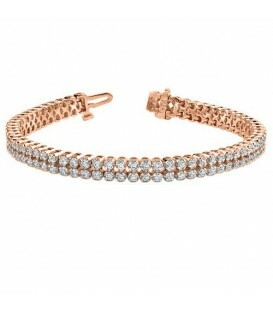 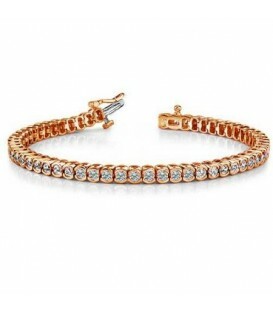 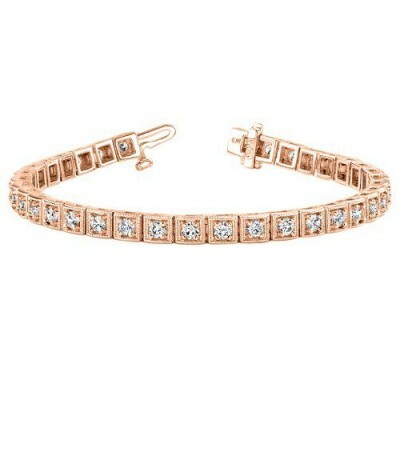 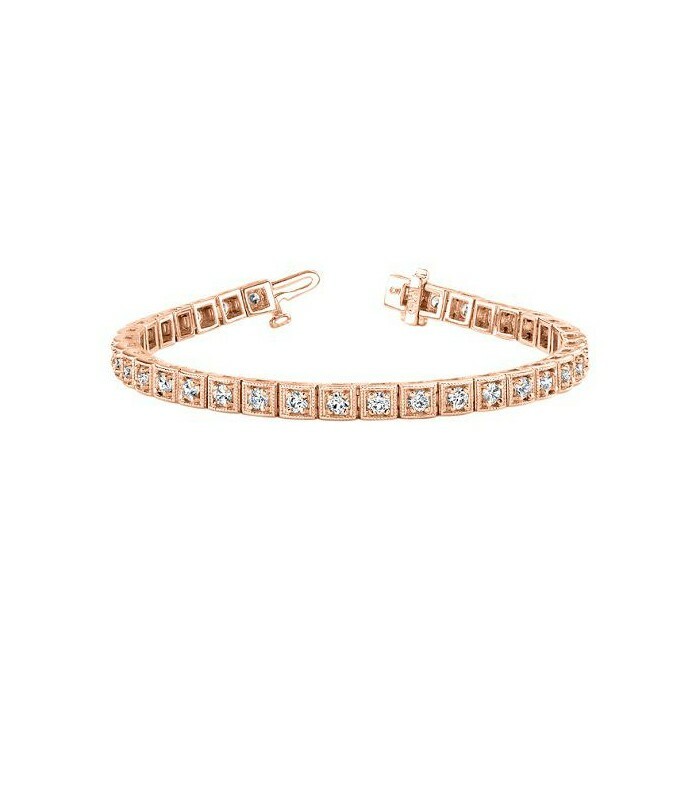 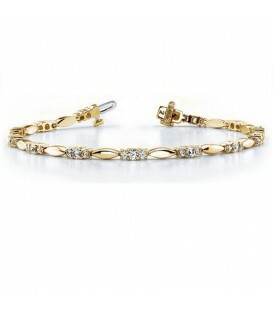 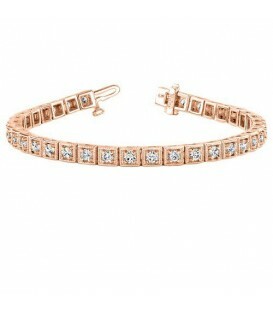 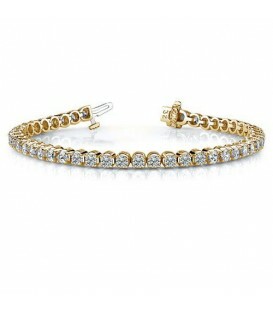 *BRACELET* One (1) Amoro Rose Gold Genuine Diamond tennis bracelet, featuring: Claw set, round brilliant, Genuine Diamonds. 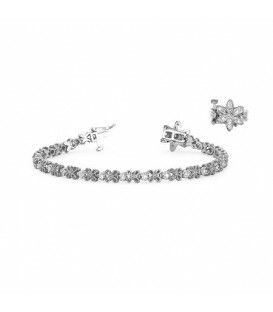 The total Diamond weight and number of stones is dependent on the bracelet size and will be detailed upon completion of this handcrafted Amoro bracelet. 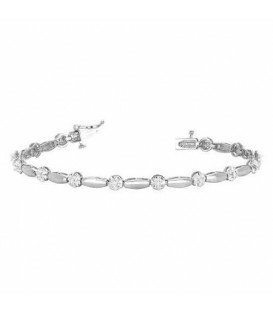 A standard seven inch, 18kt gold bracelet will feature: Forty-seven (47) claw set, round brilliant, Genuine Diamonds weighing approximately 1.5 carats. 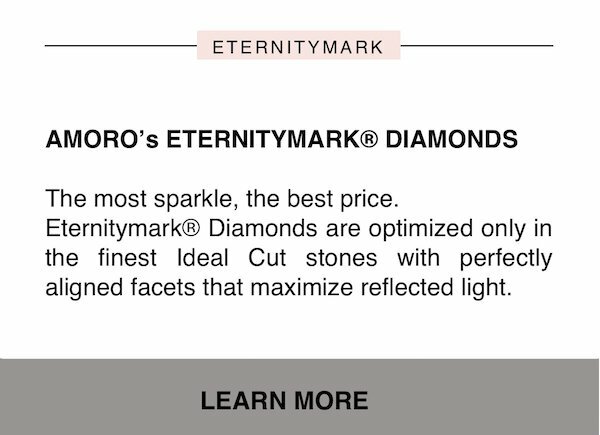 Diamond clarity: SI-I1 and Diamond color: H-I. 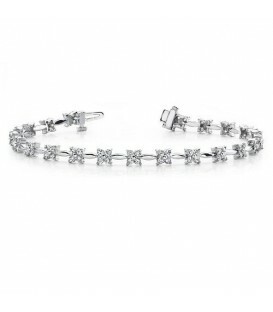 Additional diamond qualities, sizes and total weights available.